Bonnard was a founding member of the Post-Impressionist group of avant-garde painters Les Nabis. Bonnard preferred to work from memory, using drawings as a reference, and his paintings are often characterized by a dreamlike quality. The intimate domestic scenes, for which he is perhaps best known, often include his wife Marthe de Meligny. Although Bonnard avoided public attention, his work sold well during his life. At the time of his death his reputation had already been eclipsed by subsequent avant-garde developments in the art world. French painter (1867-1947). 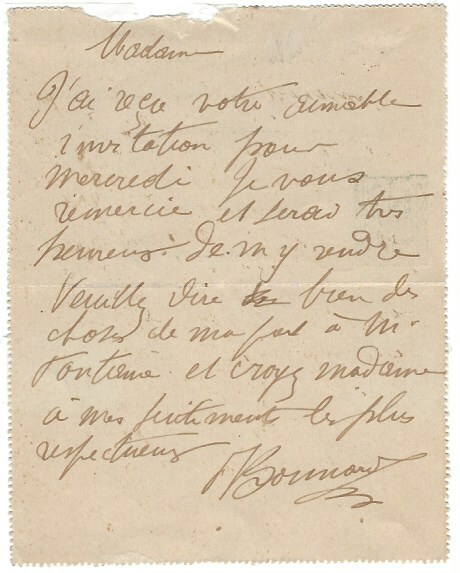 Autograph Carte-Telegramme signed. N. p. 155:110 mm. Ten lines of text in black ink (evenly faded to brown). With autogr. address. 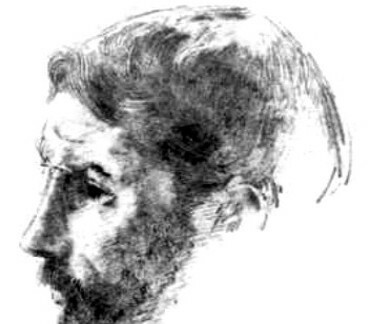 To Madame Arthur Fontaine, responding to an invitation from Mrs. Fontaine, the wife of the Parisian industrialist and art patron, who was painted by both Vuillard and Redon. - Paper slightly toned. French painter (1867-1947). 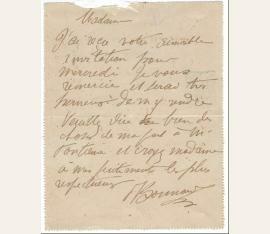 Autograph letter signed ("PBonnard"). N. p. o. d. 8vo. 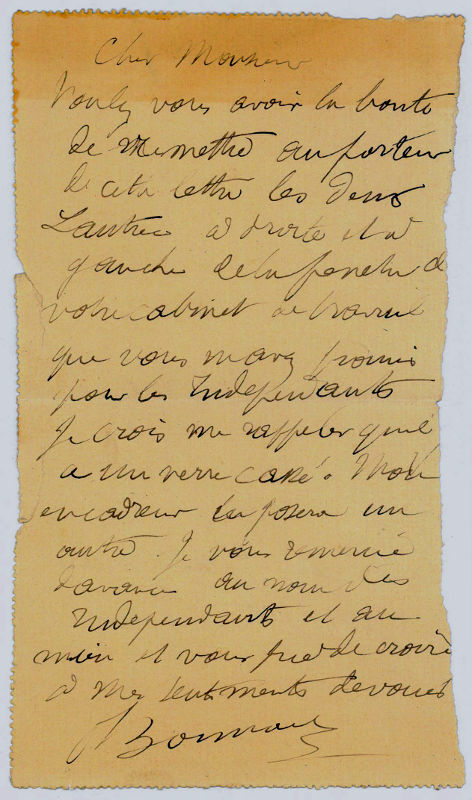 1 p.
To Paul Gallimard (1850-1929) asking to loan him "deux Lautrec à droite et à gauche de la fenetre de votre cabinet de travail". He notes that one has broken glass, and that he will have his own framer replace it. 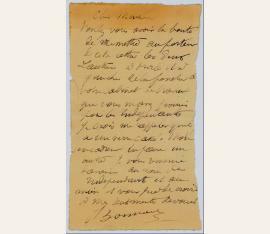 Bonnard thanks Gallimard on behalf of himself and "Les Independants". - Center fold, perforations torn somewhat hastily when the note was opened, with two short tears on the left edge, the right edge torn with loss of one or two letters, and perhaps a short word, slight toning at head, with holograph address on verso.